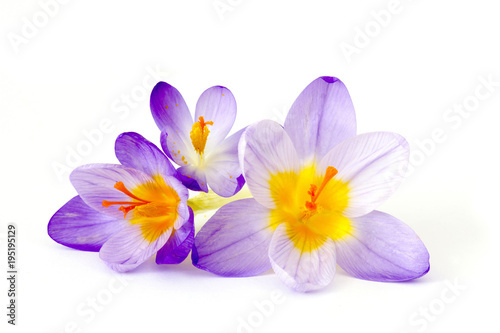 Crocuses yellow blossom on a spring sunny day in the open air. 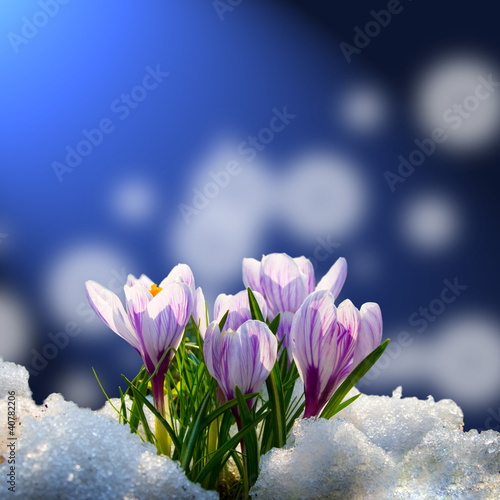 Beautiful primroses against a background of brilliant white snow. 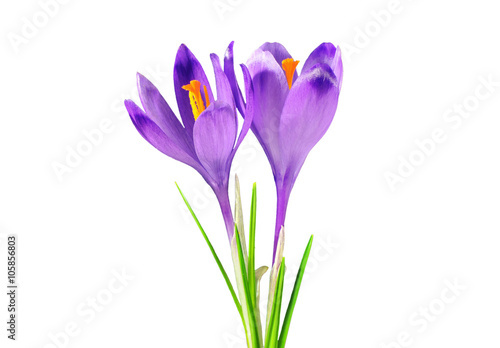 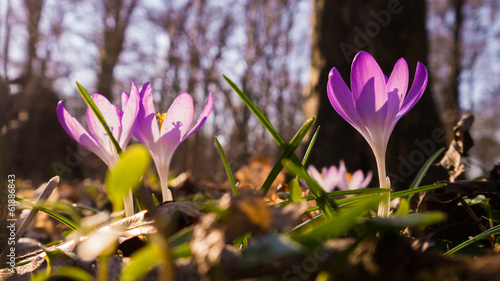 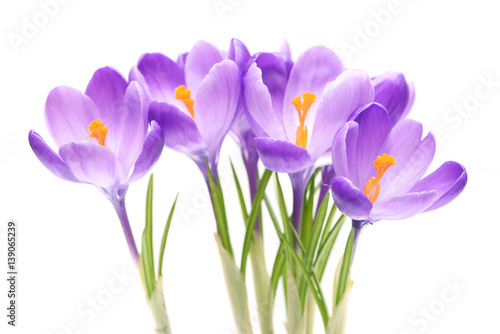 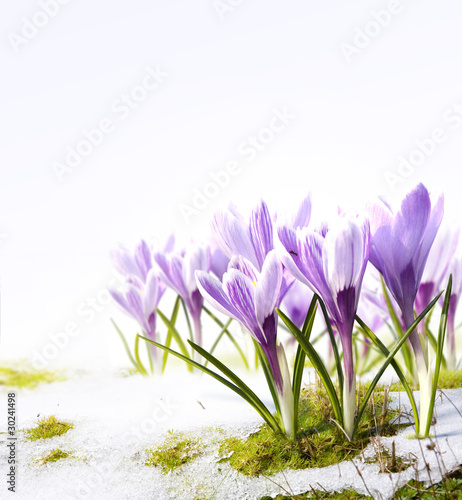 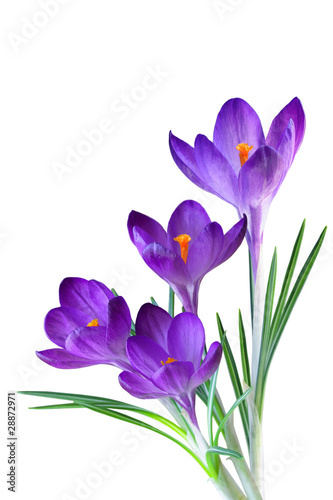 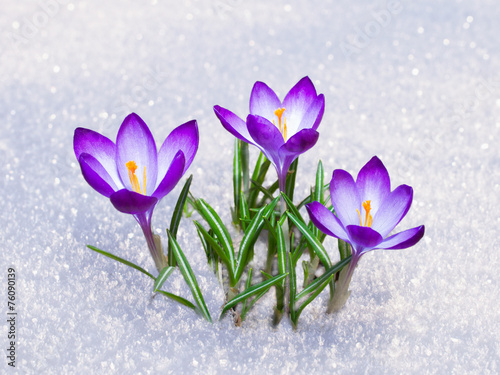 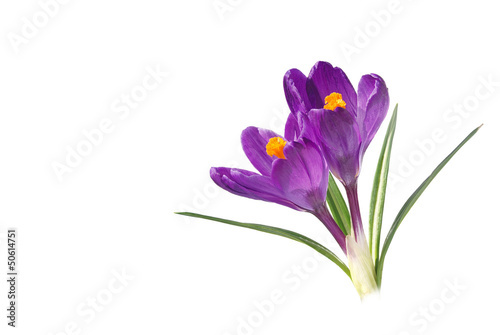 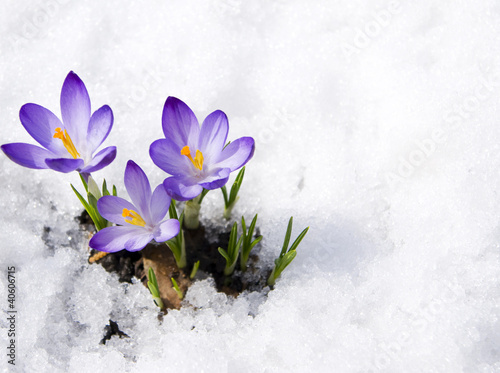 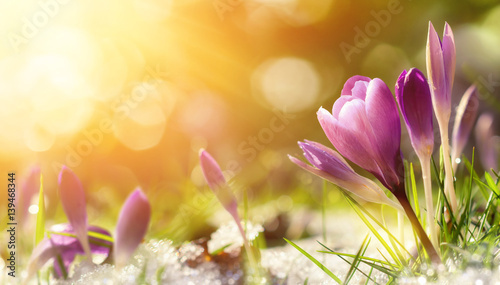 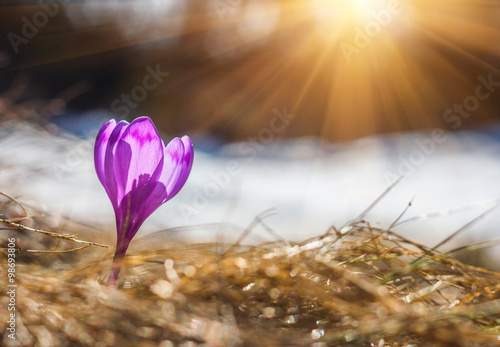 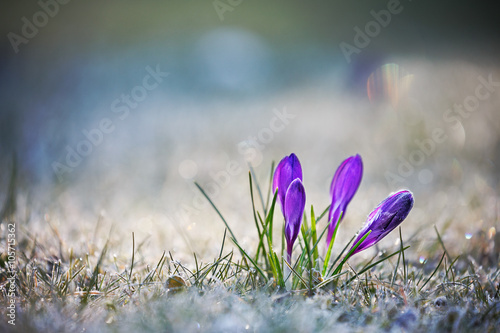 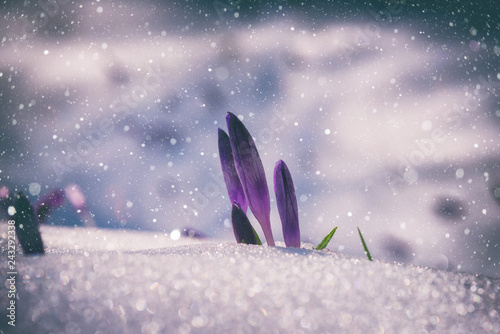 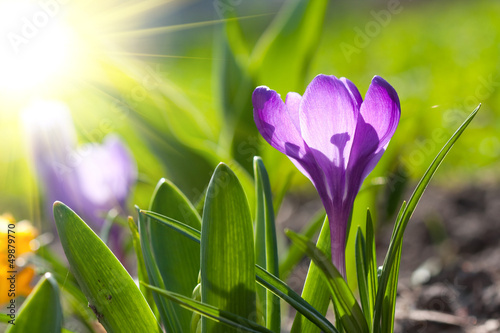 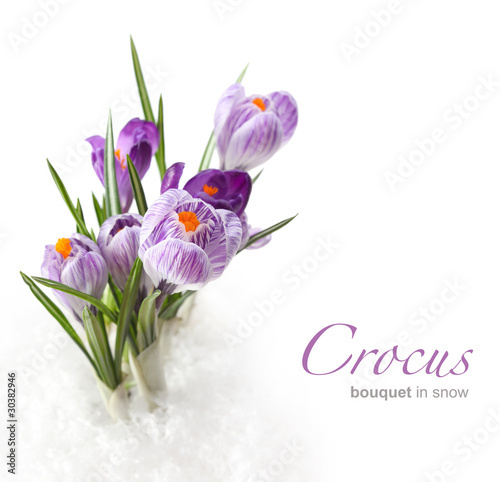 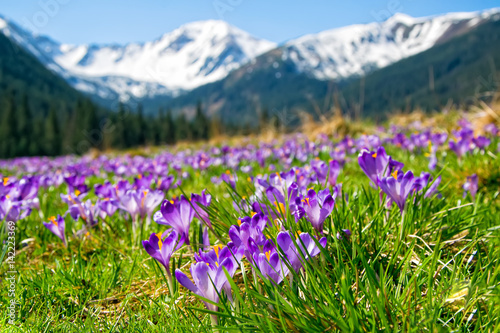 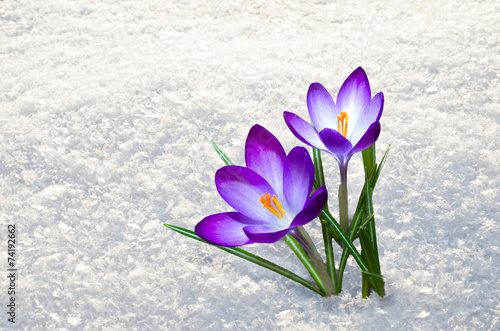 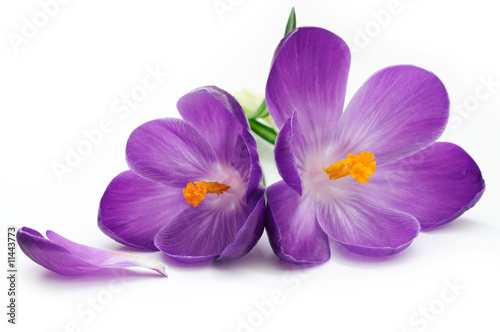 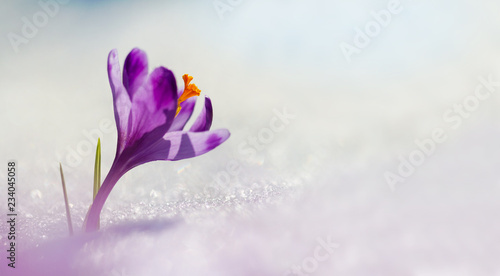 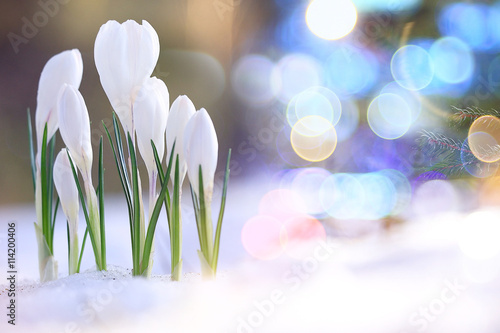 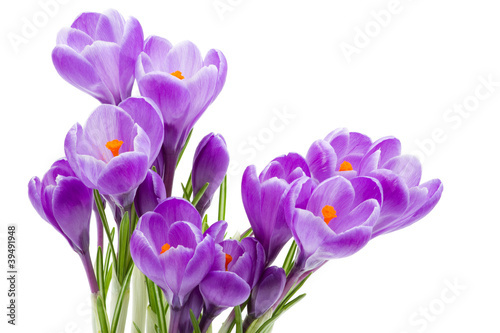 First spring flowers crocus as soon as snow descends in sunlight. 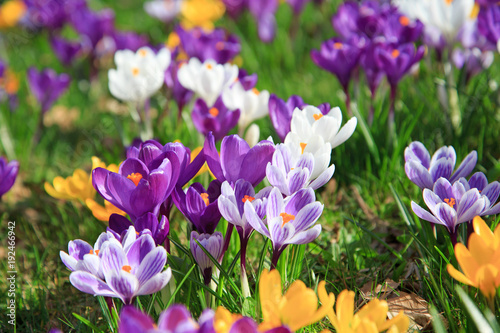 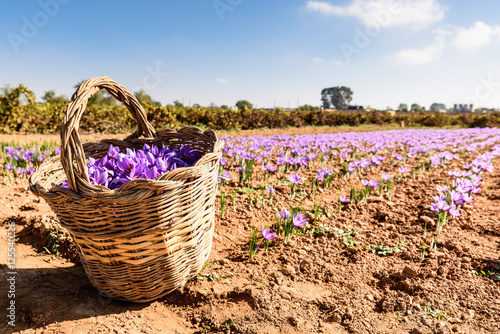 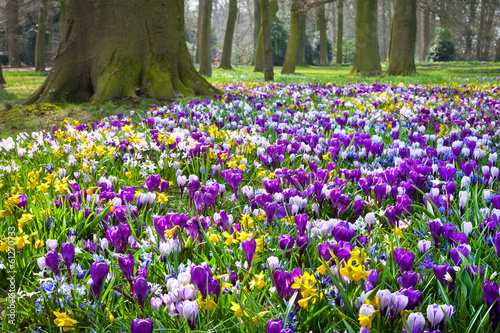 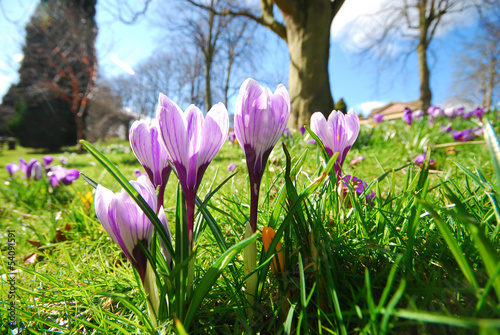 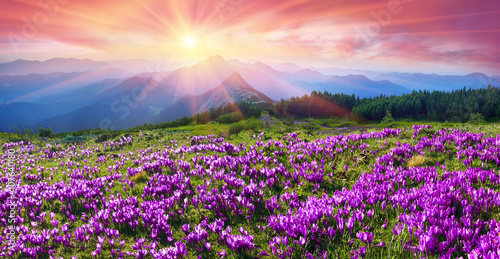 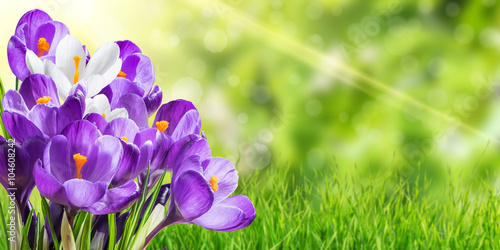 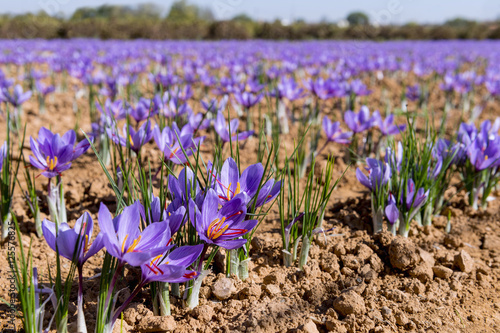 Crocuses and narcissus in the park.